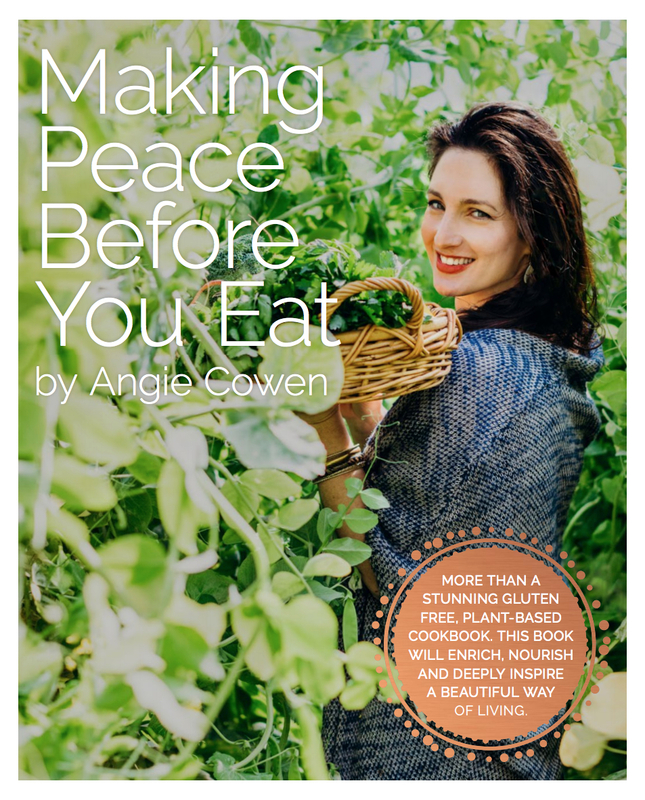 Making Peace Before You Eat (available May 2018) is now available for pre-sale purchase! The time has come! My beautiful new book Making Peace Before You Eat is in the process of being bound together, getting ready for you all to enjoy! This book is simply stunning. 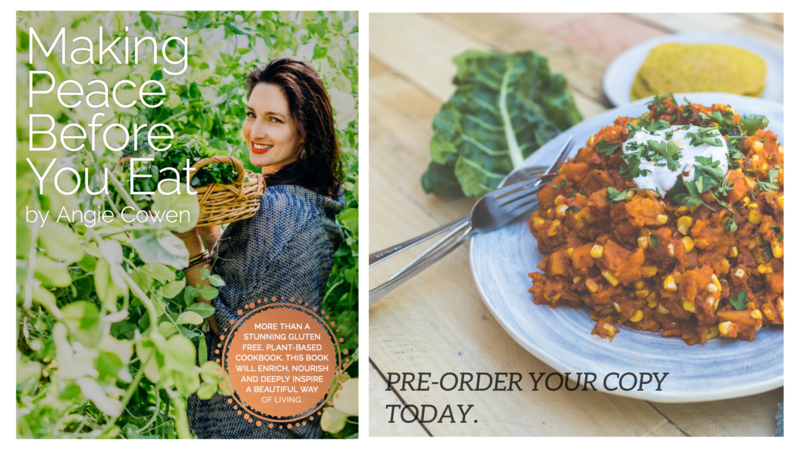 It shares a beautiful, connected and mindful approach to eating as well as being filled with over 80 DELICIOUS plant based gluten free recipes for you to enjoy. To celebrate this book being available for pre-sale, we are sharing a very special offer with you. 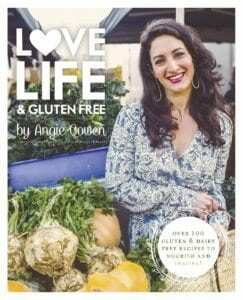 Simply order your copy before the end of April and come May, you’ll also receive a packet of our famous Love Life & Gluten Free Activated Buckwheat Brownie Mix! I can’t WAIT to share this special book with you.